A warm brand of African hospitality welcomes you as you embark on a 4 day safari to the Kruger National Park and Sabi Sands Game Reserve, where exploring the vast plains of the Kruger Park and Sabi Sands Game Reserve provides close encounters with lions, leopards, elephants, buffalo and rhino on foot, or from an open game viewing vehicle with your ranger. After morning tea or coffee has been served at the reception area, you depart on your morning safari drive with experienced guides, who have vast local knowledge of the Sabi Sands bushveld. 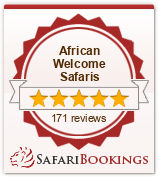 They provide an insight into African wildlife as well as the Fauna and Flora of the region while on your safari drive. The Sabi Sands is renowned for sightings of Leopards, Lions, Buffalo, Elephant and Rhino, which provides excellent photograph opportunities for your collection of memories of the journey to Southern Africa. Returning to Camp, breakfast will be served. At approximately 3:00pm your afternoon safari drive in the Sabi Sands will see you explore routes in search of Leopard, Lion, Rhino and buffalo. A Camp fire in the boma welcomes you back to the Camp after dark, where beverages will be served, before being invited to a well prepared dinner which will be enjoyed in the Boma under stars . Day 4: Transfer to Johannesburg via the Panorama Route.